At the beginning of 2015, I hosted a read-along of the Blood Magic Saga (at https://www.facebook.com/groups/boundbybloodmagic/). I&apos;d just taken a year off of writing fiction to have my first child and I needed to re-read the series in order to prepare to finish writing Ruler [Blood Magic Saga, Book 3], so I thought why not invite everyone to do it with me? As it happened, the read turned into an edit, and the version of Bleeder you are reading now is a leaner, cleaner version than the 2012 original. What follows are my author&apos;s notes from the read-along, which give a bit of insight into the writing of this book and my thoughts on the project three years later. Chapter 1: "An Uncle I Didn&apos;t Have." Every writer has something they find incredibly difficult, for me it&apos;s opening chapters. I&apos;ve re-written this one at least 20 times from first draft to the version that&apos;s on Wattpad today. And, if I&apos;m to be completely honest, my biggest fear in reading it again now is that I&apos;m going to want to rewrite it yet another time. Normally I love editing and rewriting, but I tend to obsess so hard over first chapters that at some point I can no longer see the forest for the trees. No other chapter in the entirety of the Blood Magic Saga has had as many hours poured into it. Sooooo... I read the first chapter again, which I haven&apos;t done in roughly two years... and then I edited it... for an hour and a half. Told you. What did I change? Well, I caught a couple typos, fixed one broken continuity thing, fired a handful of extraneous sentences and reworked a handful of others. In truth, nothing anywhere near as severe as what I thought I would do to it. 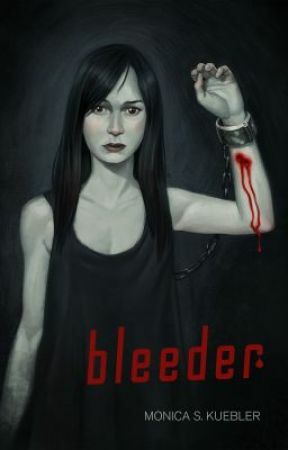 I originally wrote and edited Bleeder back in 2012 and I will say this, looking at something three years later, you see lots of things that you didn&apos;t see at all when you were first in deep with it. 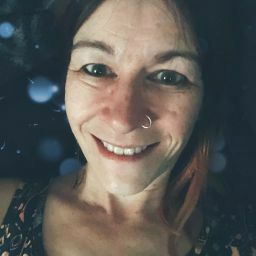 Chapter 2: "A Brief Introduction to My Not-Life"
The most challenging part of this chapter was obviously "the big conversation" and the struggle to keep it realistic and from falling into melodrama, which it so easily could. Chapter 3: "It&apos;s Not Paranoia If They&apos;re Really After You"
If Bleeder were a roller coaster, the end of this chapter would put you at the very top of the first big hill. Here, we begin to get hints of the supernatural goings on and, of course, all hell is literally about to break loose (and it more or less doesn&apos;t stop for the rest of the book). I think this is why I sometimes giggle when people complain that the beginning of Bleeder is too slow. I certainly appreciate the criticism (as I appreciate all constructive criticism), but for three chapters of what I consider much-needed stage-setting, you get another 32 chapters of all-out supernatural craziness. Small investment, really. From the view of time away: I like Mills in this chapter. We start to see some real maturity underneath all the pain. This is really the first step of her "becoming," as I like to call it - the first seed. I also like Fredrick here. Mills&apos; adoptive parents might not have gone about things the right way, but they are still very kind people. Like most of my characters, they are definitely flawed, but Fredrick feels very human to me, which is something I continually struggle for in my writing: authenticity. I want my characters to feel like people who could actually exist and who make realistic choices. Here we also have the first of my evil cliffhangers. This book is full of evil cliffhangers. Tiny Factoid: the "stuck in amber" line is a shout-out to the TV show Fringe, which I was obsessed with while writing this book.